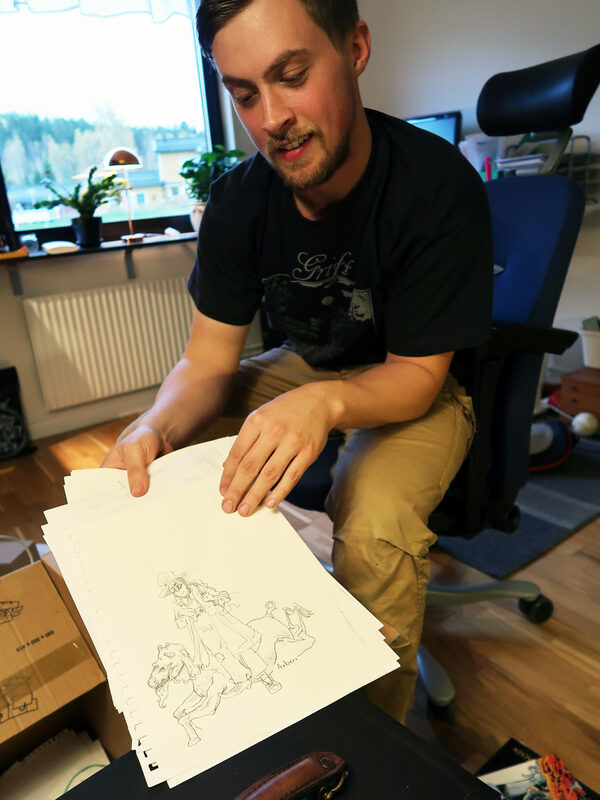 It has been an exciting autumn for illustrator Emil Maxén who published the first part of his latest graphic novel in September. He sold 73 books on the first day. 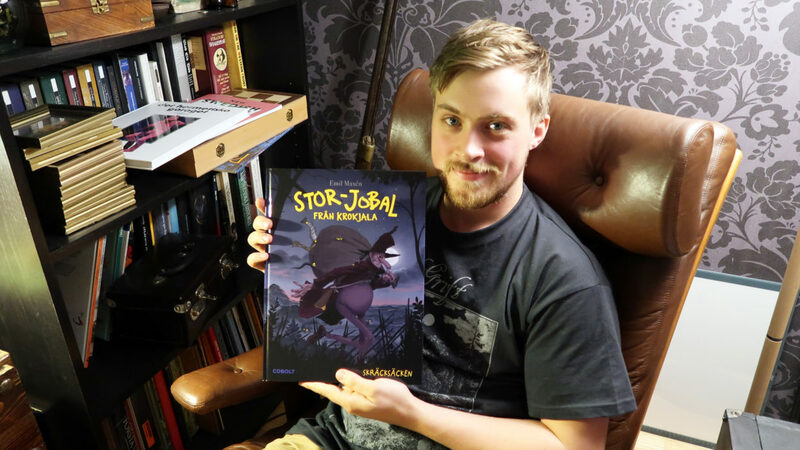 In the local bookshop, Emil was sold out on the release day and the publisher had to contribute with more copies, a delightful problem for our Swedish graphic novelist. Emil’s comics are about Stor-Jobal, a big and mean man who is trying to earn a living in the countryside. The story takes place near Indalsälven (a river) in Timrå municipality, which is where the author grew up. Instead of using the names of real places, Emil coined new names by mixing existing places with words such as intestines and brain-dead. This is to give a sense of gloominess – “silliness is great fun”, Emil thinks. 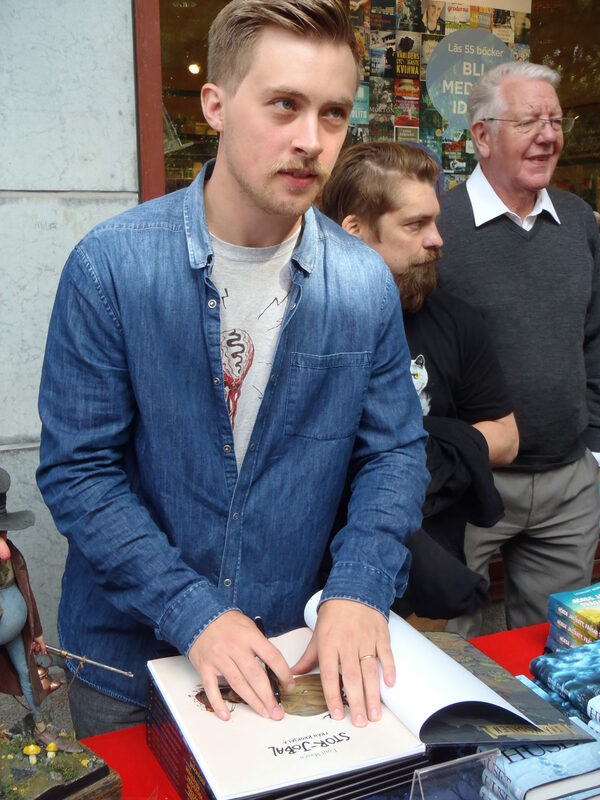 In Christmas 2013 Emil made the official Advent calendar for Swedish television. What is the most grotesque and evil you can imagine without using blood and knives? That’s the question Emil asked himself when he first created Jobal. 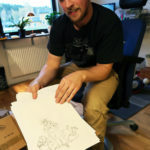 The character was born on a train when Emil studied 3D-graphics: “My friend and I created the first sketches during a trip. We were very focused on creating interesting characters at that stage”. Through this book, readers will not only get to know Jobal. 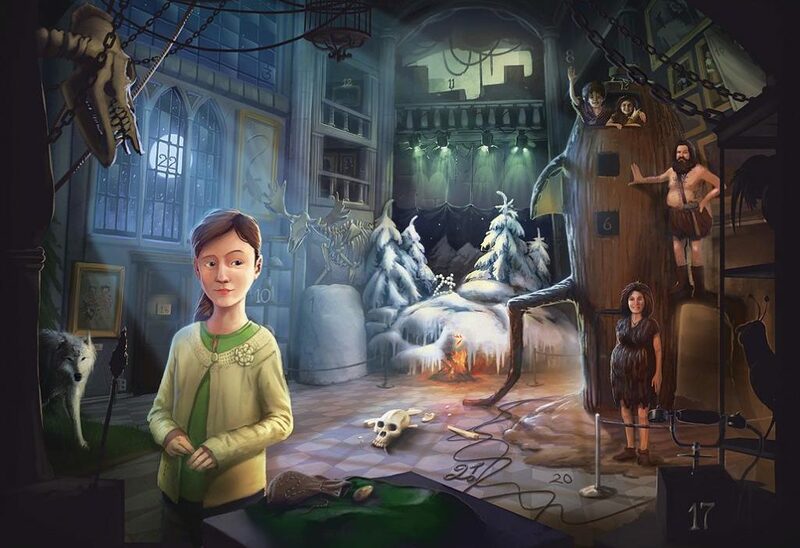 They will also discover the truth about Skvadern – a half-rabbit, half-bird creature. According to an old Swedish legend, Skvadern was shot by a man named Håkan Dahlmark during a hunt in Lunde in 1874. Emil unveils the mistery behind Skvadern – a very fun and clever story and a way of keeping the work close to the locals. 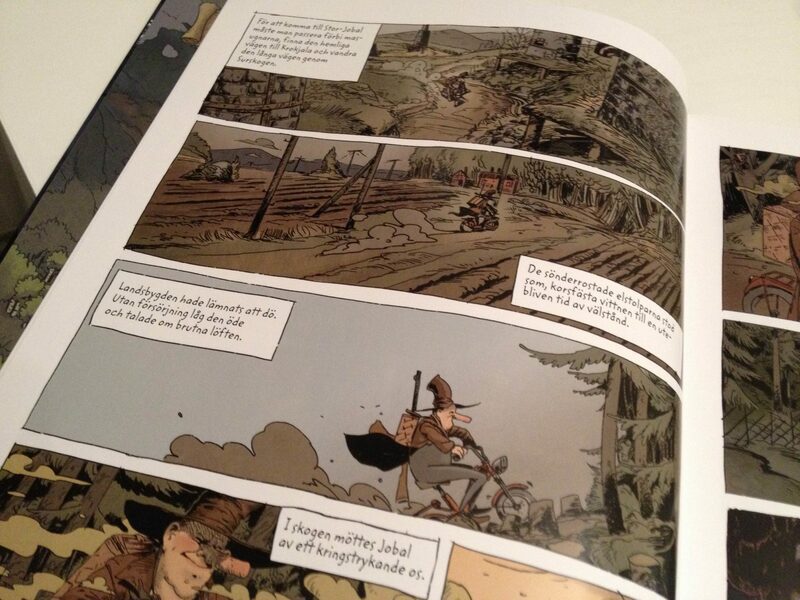 When he made this graphic novel, Emil took inspiration from his childhood and all the stories his grandfather used to tell. He has collected a lot of words and characters he likes and made a ragbag of fun and ridiculous stuff. “My grandfather is a good storyteller and I like the mood in his tales”, Emil says. Emil is promoting Stor-Jobal at fairs and local events. 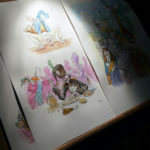 He gets paid by sold copies: “I have not made this book to earn a lot of money though, but of course it’s nice if I do! 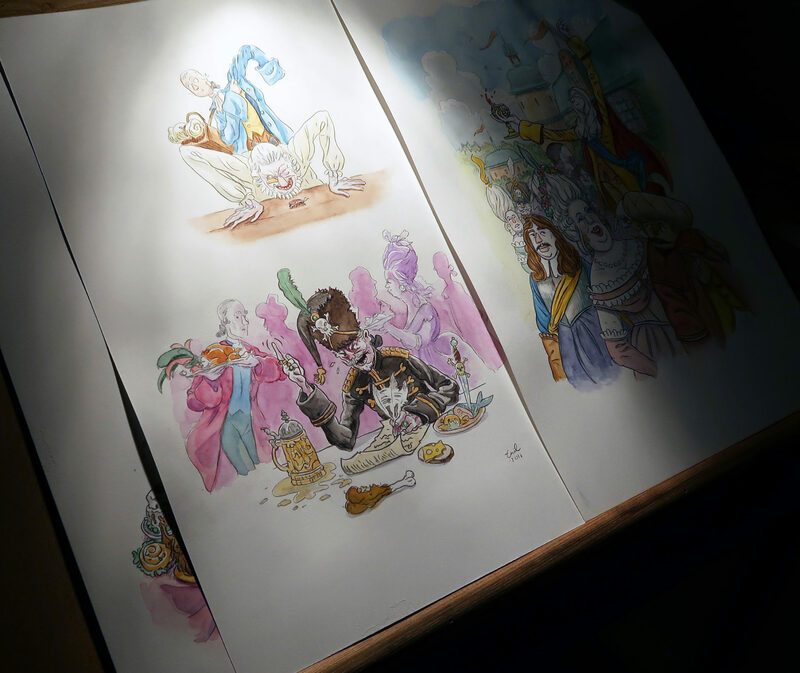 I really want to earn my living by doing comics but it feels very far away right now, almost surreal”, he says. 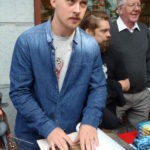 “I do not even have a registered company”, Emil continues, “I don’t want to handle paper. I just want to draw”. He uses Frilans Finans – a system that handles invoicing, payments and personal financial accounts – to do all the paperwork. 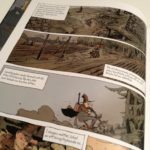 “Write the ending of your story sooner rather later” – this is one piece of advice that Emil has for those who would like to publish their own graphic novel. “Dare to make decisions and don’t leave it open too long”. 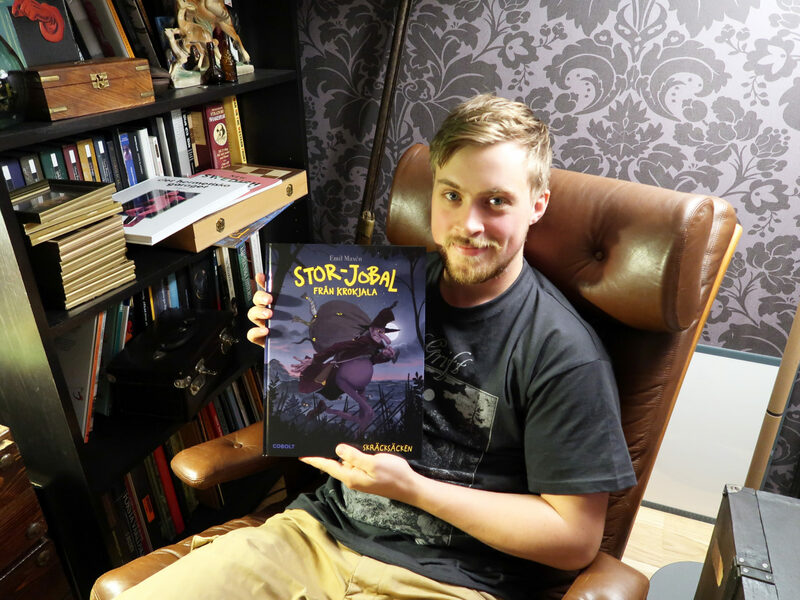 There will be three parts of the story about Stor-Jobal, the first one is already published and up for sale. The second one is almost finished, and Emil is currently working on the third: “I wanted to include so much it wasn’t enough with one book”.